West Bengal Chief Minister Mamata Banerjee on Thursday called the Bharatiya Janata Party (BJP) a militant organisation. 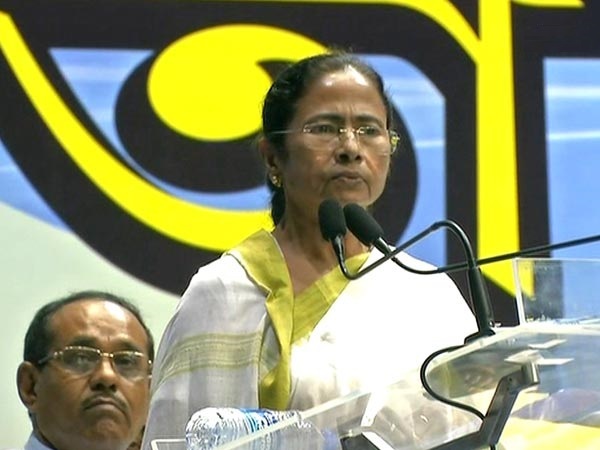 Kolkata: West Bengal Chief Minister Mamata Banerjee on Thursday called the Bharatiya Janata Party (BJP) a militant organisation. "We are not a militant organisation like the BJP. They are creating fights not only among Christians, Muslims but also among Hindus," the All India Trinamool Congress (TMC) supremo said. Mamata's statement comes at a time tensions between the two parties are escalating in the state. On June 2, body of a BJP worker, Dulal Kumar, was found hanging from a pole in Balarampur area of Purulia district. Similarly, on May 30, the body of another BJP activist Trilochan Mahato was found hanging from a tree in the same district.